Finally!!!!!! 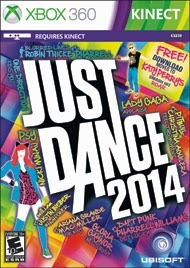 We've been waiting to see a SUPER STEAL on Just Dance 2014. Here's the LOWEST PRICE that we have seen on this NEW release. Grab it for ONLY $14.99 (Reg. $39.99). Its available at this price for the PS3, Wii, Xbox 3.